SYRACUSE, N.Y. - Dr. James M. Hassett has been appointed chair of the Faculty of Environmental Resources and Forest Engineering at the SUNY College of Environmental Science and Forestry (ESF). Hassett, a Syracuse resident, specializes in environmental engineering and water resources. 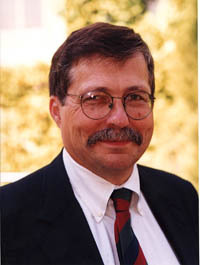 He joined the ESF faculty in 1981. His research focuses on hydrologic modeling, water quality management and modeling, and incorporation of risk assessment into environmental decisions. He is currently involved in a number of projects aimed at safeguarding the quality of New York City's drinking water. Hassett taught classes in engineering hydrology and flow controls, water pollution engineering, advanced hydraulics, water quality modeling, and water and wastewater treatment technology. Hassett received a SUNY Chancellor's Award for Excellence in Teaching in 1991. He received his bachelor's degree from Cornell University, and his master's and doctoral degrees from Syracuse University. He is a member of the board of trustees of the Upstate Freshwater Institute. Hassett fills the position recently held by Dr. Robert H. Brock, who stepped down from the chair's seat. He will continue to teach. ESF, founded in 1911, is a specialized college of the State University of New York.